More than 80 percent of our viewers have a smartphone with them in the museum. Some of them use the devices while visiting exhibitions, to take photographs, to share exciting news via social media, or to swiftly look something up online. Would it not make sense for the museum to also support the use of smartphones to enable visitors to access the exhibitions in the way they are used to? 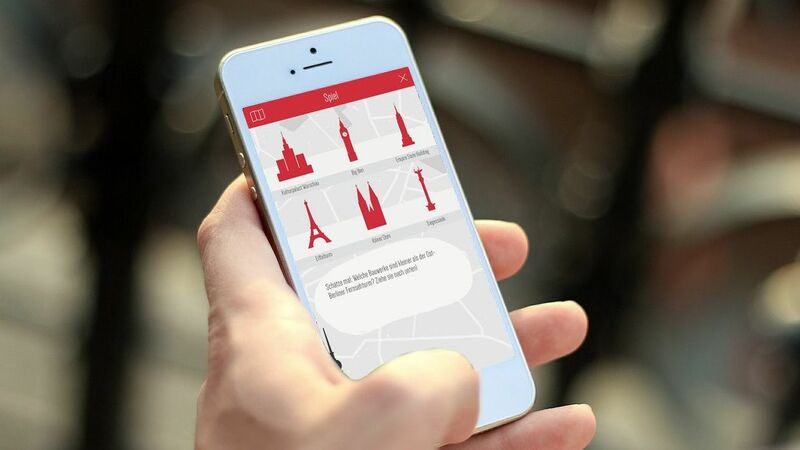 We thought so, and that’s why we developed and created apps for the permanent exhibitions at the Haus der Geschichte in Bonn, Tränenpalast and Museum in der Kulturbrauerei. We wanted to give you added value both in the museum and in the comfort of your home. Check it out! The free iOS-App to our permanent exhibition "Our History. Germany since 1945" is only available in German. English tracks of the included audio guide can be found online on our webpage - and you can listen to them while in the museum. Just log on to our free WiFi HdG-WLAN. 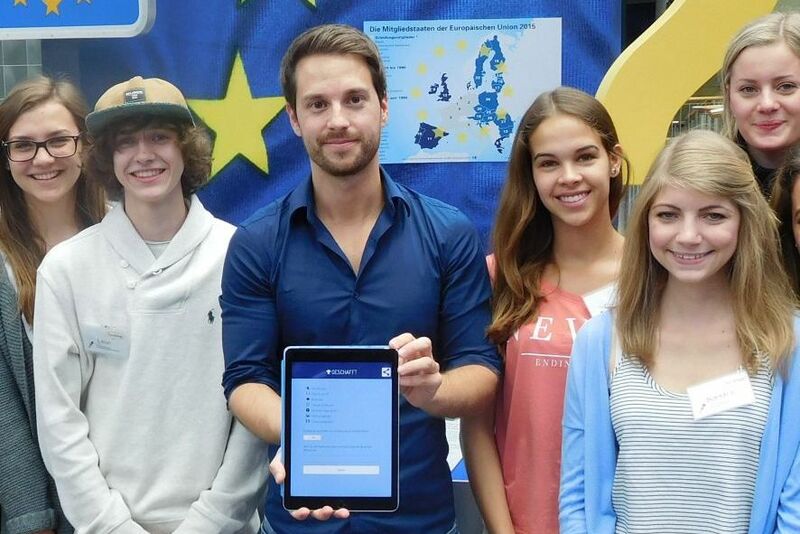 Discover the history of the European union with this (German language) Actionbound-App, produced by our TeenGroup 2016 at Haus der Geschichte. 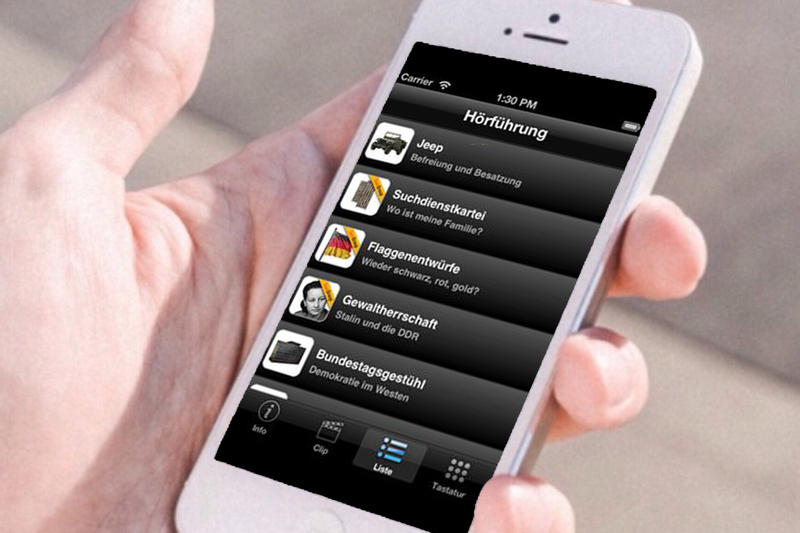 This app is available only in German but is suitable for students of German, as well. Available in German only: Download the "Placity"-App. enter the code and play! Find out with this four games what was important for people in different times of contemporary German history: in the post-war years (Code 533), the years of reconstruction in East and West Germany (Code 535), in the 1960ies and 1970ies (Code 531) and in the time after the German reunification (Code 534). You can get a map for the app from our info desk in the museum lobby. This app is suitable for students of German. 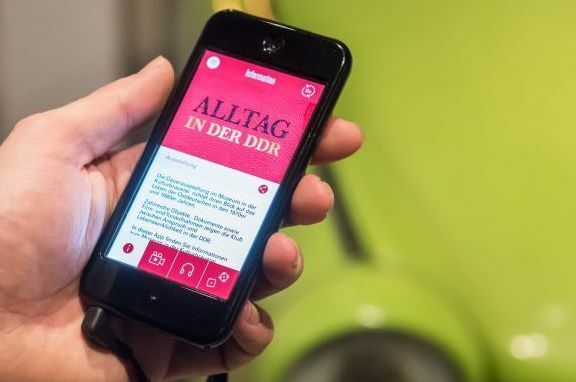 The game that is part of our free app “Everyday Life in the GDR” on the permanent exhibition at the Museum in der Kulturbrauerei immerses you in Berlin in 1987. In the exhibition audio guide, historians, contemporary witnesses and the exhibition makers all talk about life in Communist East Germany. The video shows key themes and items in the exhibition. 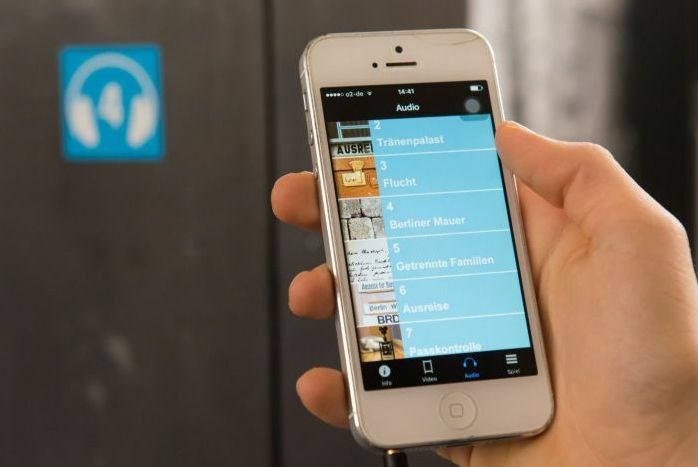 This free app is available in five languages and also contains visitor information on the Museum in der Kulturbrauerei. What did the division of Germany mean for people in Communist East Germany and in West Germany? 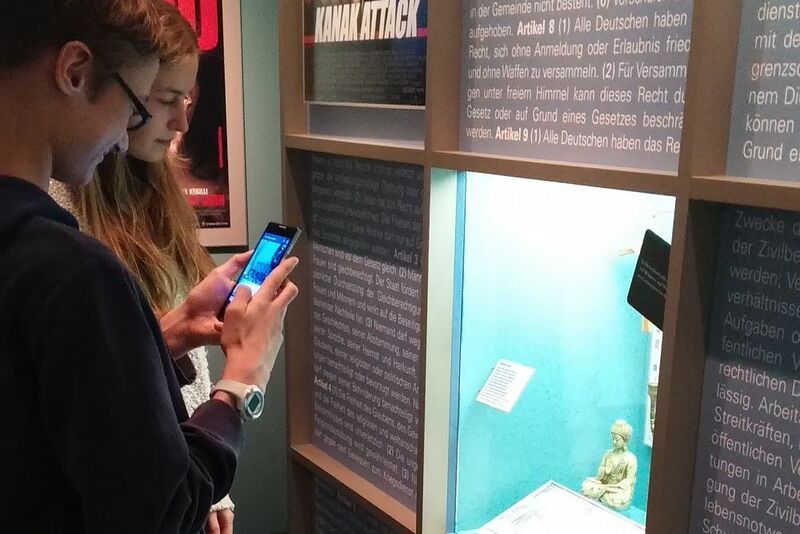 Find out all about everyday life in divided Germany in our free app on the permanent exhibition at the Tränenpalast. Listen to the exhibition makers and contemporary witnesses describe in the audio guide what normal life was like at the border crossing. Prepare your visit with our video on the Tränenpalast or try your hand at the game “Westwards through the Palace of Tears” and attempt to emigrate from Communist East Germany through Friedrichstrasse railway station. With the game app to our exhibition "Multicultural. 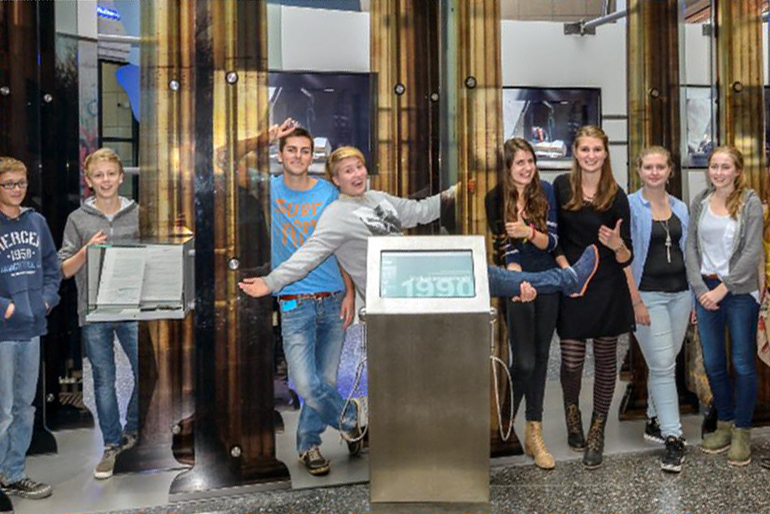 Germany a Country of Immigration" produced by our TeenGroup you could discover interesting exhibits and biographies of immigrants. It's a first: Instead of releasing a publication on our exhibition "The American Way. 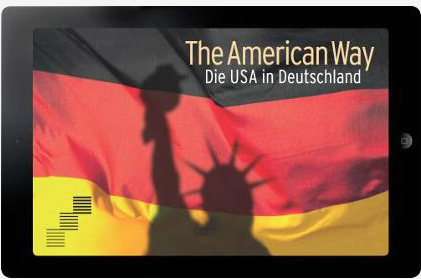 Die USA in Deutschland" (German page) we presented a tablet app. This app was available during the runtime of the exhibition from March 2013 until October 2014.